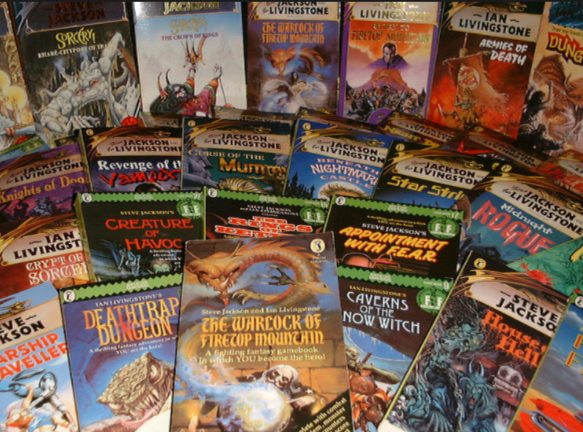 Tin Man Games has, for the longest time now, been producing high quality digital gamebooks for those of us that have fond memories of the 80's and kicking back with a Fighting Fantasy or Choose Your Own Adventure and thumbing through the pages. We've reviewed a number of Tin Man Games' gamebooks over that time, but when the company released an (excellent) miniatures-based board game, we thought that it had moved on from the humble gamebook. Related reading: You can check out a lot of our reviews of Tin Man Games' gamebooks here. Oh ye of little faith we were. Tin Man Games has made an announcement for 2018 that it is bringing back gamebooks in style, and we are excited indeed. According to the press release, the company is releasing what it terms a "library" that will hold adaptations of all the major Fighting Fantasy novels. That to me sounds like it will be an app and you purchase individual gamebooks within the app, and that's a far more elegant solution than having separate apps for each game book, as was previously the case. Each gamebook will have fully rendered 3D dice, and a simple, elegant character statistics and inventory system. If you've played any of Tin Man Games' previous gamebooks you'd know that the team really does understand how to make the gamebook reading and play experience comfortable, so the promise of slight enhancements here is exciting too. There will also be a mix of original art work and new drawings in each book. Gamebook releases will be staggered over 18 months, and the first one will be released in February 2018 on iOS and Android, with Steam releases to come after. No idea on price at this stage. Given that some of the books to be released into this library haven't been republished since their original releases, this is an exciting moment indeed for us oldies that love our gamebooks.